Posted by Candie Kates on Dec. 05, 2017 17:45:02. Google is finally pushing Android 8.0 Oreo update to its Nexus and Pixel devices at the moment. Other devices can also get this update from OTA. However, most of them are the flashship ones being released in 2017 or 2016. Old devices can also get this update if they could simply root it and manually install the Oreo update. So you might be wondering what are the new features with Android 8.0 Oreo. In here, you will know some huge changes in Oreo like autofill apps, customization as well as picture in picture features. However, these are the revealed specifications informed by Google itself but the bigger scenarios are happening inside the Android 8.0. If you have no idea what we are talking about then keep on reading to find out the top 5 hidden features of Android 8.0 Oreo. Which Device is Eligible for Android 8.0 Update? Not listed above? Please check this page for latest device update. Please also make sure backup the phone before upgrade in case of unexpected error happen. This was one of the most demanding features requested by Android users over the time. Recently, Android phones are experiencing overheating, short battery life and slow performance. But, the problem is not with your phone's hardware but the real issue persists with the apps running in the background without any notice. Step 1. Go to Menu and tap on "Settings". Alternatively, you can slide over the top of your phone and tap on the gear icon. Step 2. Scroll down and choose "Apps & notifications". Step 3. Tap on "Apps info" and toggle on the "Background activity" option. 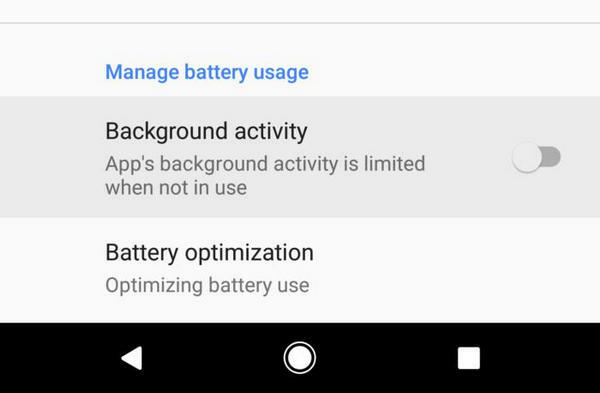 Now, the activity of the running background apps will be limited and your phone will not experience any extra usage of internal memory. Google often plays with the display of the main home screen and yet it has come up with another alteration. However, this could make the usage of widgets significantly simpler. All the apps' widgets will now be available if you simply long tap on home screen. You might also observe that the icon for location and customization are changed as well. Now, whenever you long tap on the home screen, you will see small square icons and right above those icons, you will be able to see a panel icon which will be the app shortcut that you can add on the home screen. Pretty cool, huh? 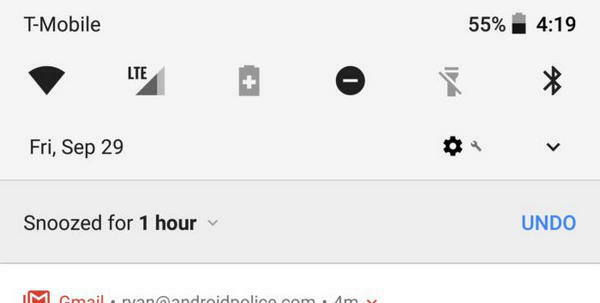 Google is focusing a lot on its notification settings. On earlier Android updates, you either had to read the notification or swipe it away but with Android 8.0 Oreo, you now have the option to snooze the notification and read it later when you have time. So, how to perform this task? Simple. Whenever you receive a notification, simply swipe that left or right but make sure not to tap on the clear button. Then, you will have the option to snooze the notification for up to 2 hours. After the time span is finished, you will be able to see that notification again. You can also snooze notifications for 15 minutes, 30 minutes, 1 hours and up to 2 hours according to your requirement. Earlier with Android 7.0 or older version, you can either install all the third-party apps or none at all. Android 8.0 introduced a better and secure way to install third-party apps but managing those settings are a bit hectic than expected. If you download any third-party app from a website then your device will first give you an installation error and will redirect you to the settings where you could enable the option to install third-party apps from unknown resources. You may then totally trust an unknown source and the device won't give you any error if you download apps from the same source. Similarly, you can disable to install any apps from particular sources. To use this feature, first you will have to go to "Apps & Notifications" followed by "Special access apps". Then enable "Install unknown apps" to install apps from unknown sources. Likewise, you can disable the feature for different sources as well. 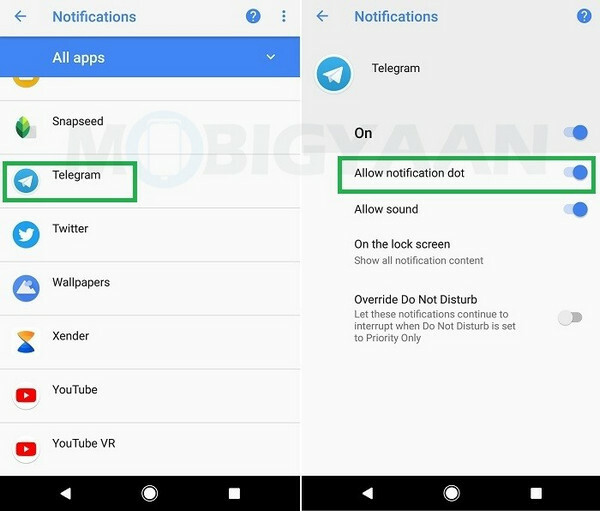 Android 8.0 Oreo gives you the option to choose who should send you notifications or not. In short, you will be controlling the notification panel manually. For example, if you don't to see the notifications from Subway Surfer or Clash Royale game then you can turn it off manually. And if you want to see notifications from particular apps then you can enable it as well. You will have the power to customize the settings completely so that you don't have to see the useless notifications that you swipe away every time. To customize notifications, go to "Apps & notifications" then "App info". Now, open the app for which you want to enable or disable notification pop ups and toggle on or off the option.. So, that is all for this article. Android 8.0 never revealed these secrets on their update notice but we have gone through each corner of the update and came up with this hidden information. Surely, more are coming very soon as well. • iPhone Stuck in Recovery Mode, How to Fix?